Jersey jacket by RABE. Comfortable and perfect to combine. Made from fine jersey with attractive, fashionable ottoman texture. 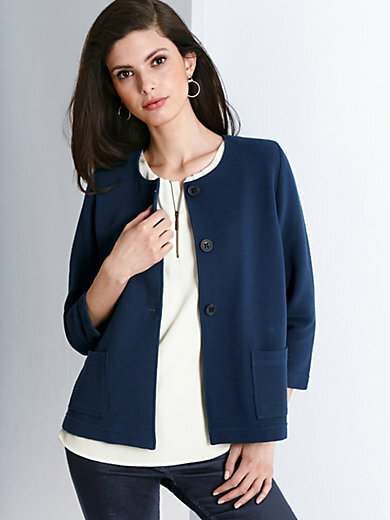 Casual, straight style with button facing and 2 patch pockets. 80% cotton, 17% polyester, 3% elastane. Length approx. 24 ins. Machine wash.